Full bodied tone, strong midrange response and great playability. A good banjo string is a lightning rod for the very best of what’s in your fingertips. Martin’s Banjo string sets offer full bodied tone, strong mid-range response and great playability. The name Vega has been synonymous with fine quality-crafted banjos since 1889. 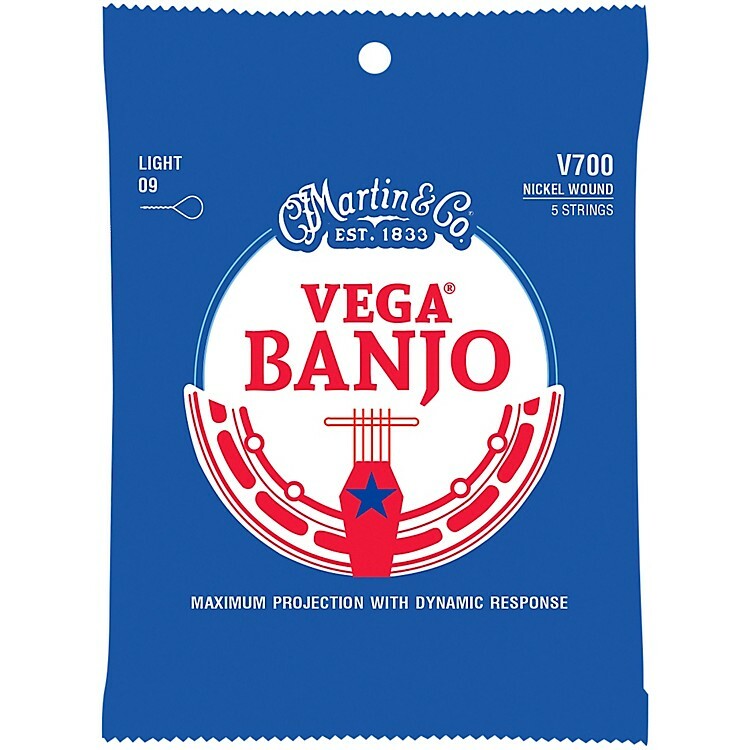 Martin selected a long lasting nickel/steel alloy for its tonal qualities and smooth consistency making these strings ideal for all styles of banjo playing. Bluegrass. Personified. Trust Martin your banjo strings. Order today.